...and it involves the water barrel in the front walkway garden. 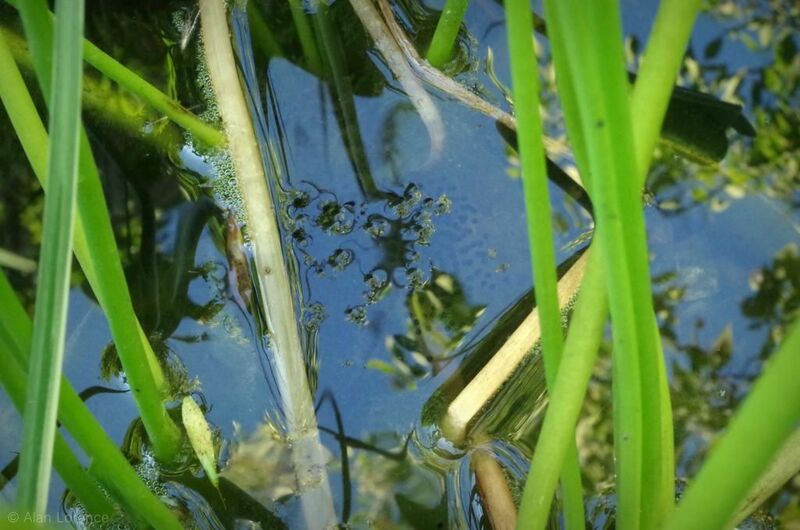 If you're wondering how these frogs find this small body of water, I may have an answer. These frogs are scattered all through my garden hiding under plants, which makes me think that they're pretty much everywhere around here, whether or not water is nearby. When they do find water, they take advantage, and just jump! Yes, last year I saw a frog jump from the ground up into this half barrel. That's really a leap of faith! ...there are two goldfish in this barrel. For backup I removed half of the eggs and put them into one of my water plant buckets. 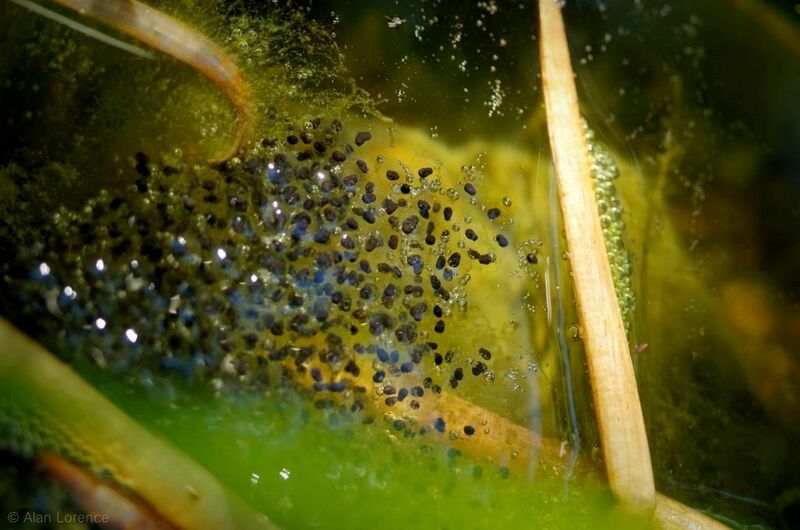 I may need to create a new water feature just to house some frog tadpoles! Love the frogs! They are so much fun to have around. The situation gives new meaning to fish in a barrel. 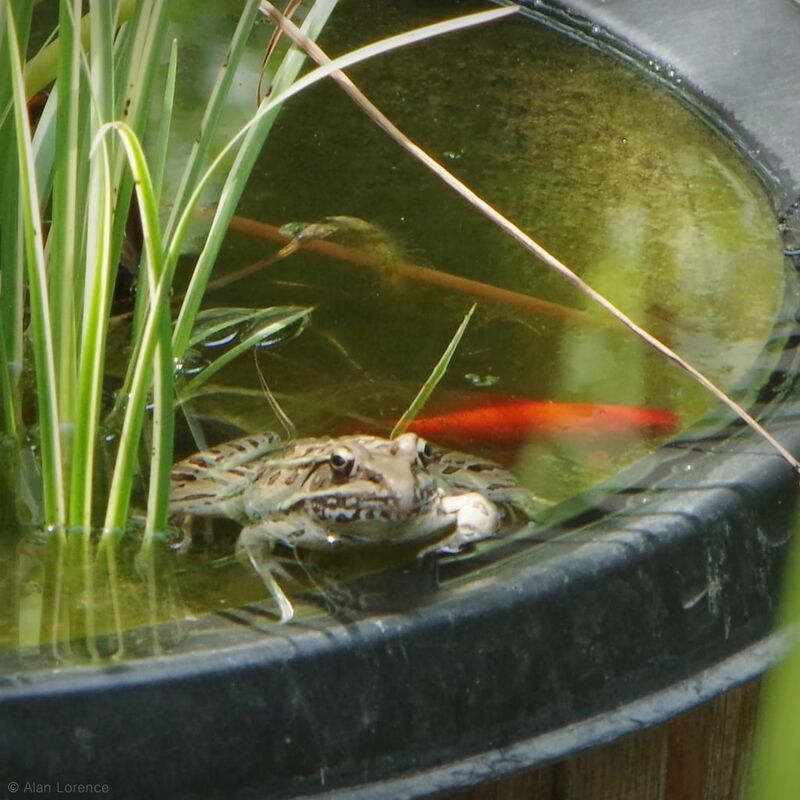 The frogs are one of the best reasons to have a pond. They are so cool to watch! Good luck with your brood! 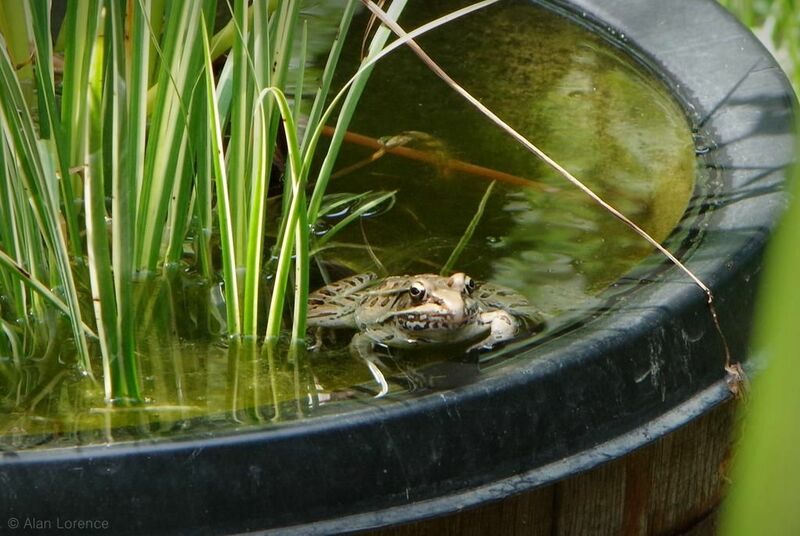 I have been trying to attract frogs to my garden for some time, love your pond.